This post has been pending since 2014. Yes. Finally today, I got some time to review and publish it. While searching for my dream footwear for my wedding, I had few things in my mind. I wanted something in red, as is the case with most of the brides:). So same pinch for this one. 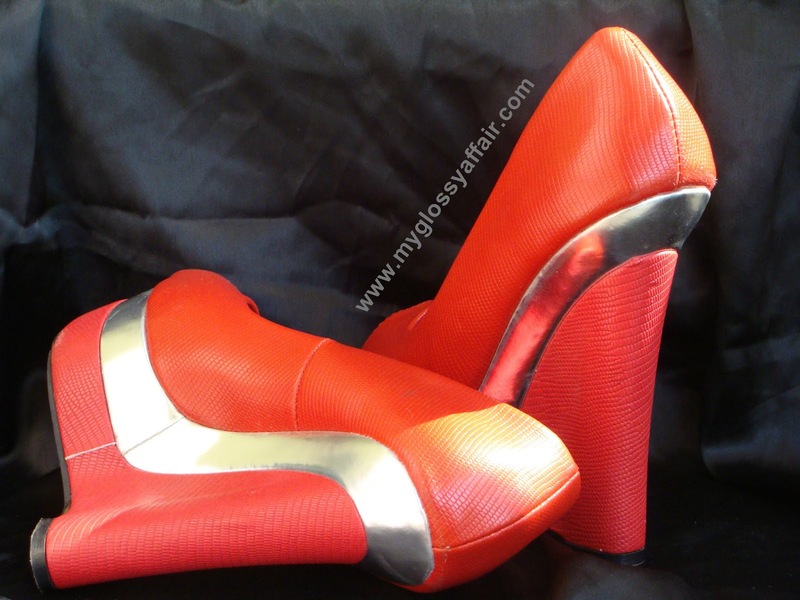 I was not looking for pencil heels but I wanted some comfy wedge high heels as I knew it will be an affair of a complete night, so comfort should be kept in mind too. After all, we don’t get to rest for so many days even after wedding. Since I am not very tall, I needed heels and that too high. I have seen most of the brides go for pencil heels. But I know I couldn’t carry those thin rocket heels so I wanted wedge ones and that too light weight. But when I went shopping, there was no sight of red wedge heels, almost in whole of Delhi, which I could wear as it is. My search ended finally but how!! Finally, I got those perfect red wedges which were damn comfortable too. But there was a slight problem with these. These were so plain for being a bridal footwear and that silver line in between was bothering me a lot. So I thought of making these perfect for me myself. Yeyyyy…now starts the little journey. 1. 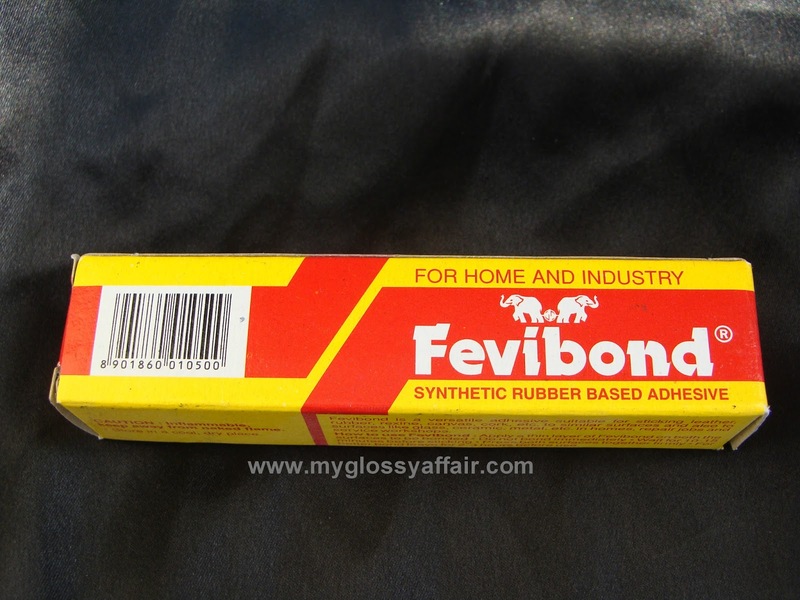 Place little amount of glue/fevibond over a small area. 2. Put the crystal over it one by one. Silver side down and golden up. 3. Now take another small section and repeat. 4. After doing this on one side you need to let it dry for atleast 12hrs. 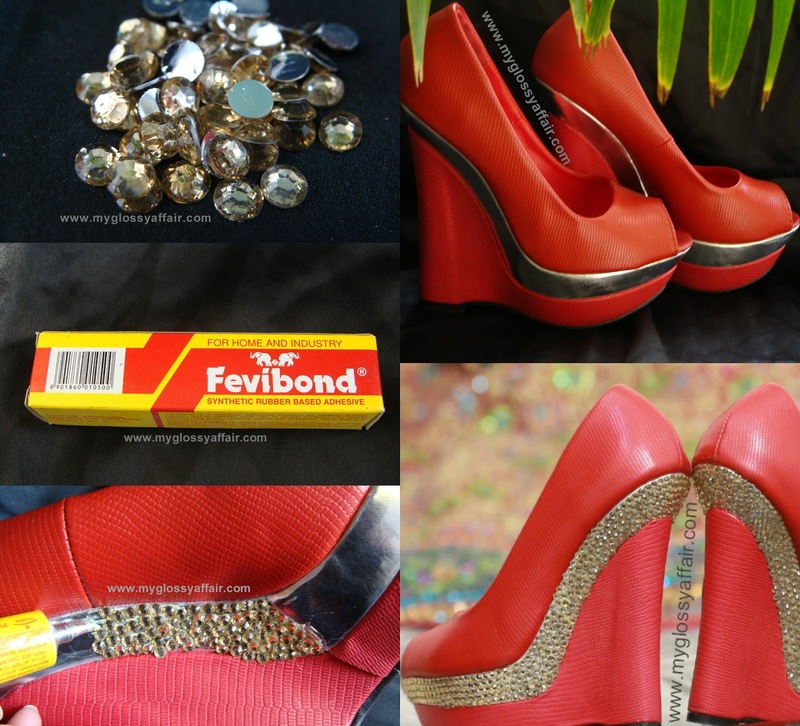 You can try such easy peasy DIYs with any of your footwear, you are bored of. Try it with ballerinas too for that glittery twist!! I was quite pleased with the final outcome. 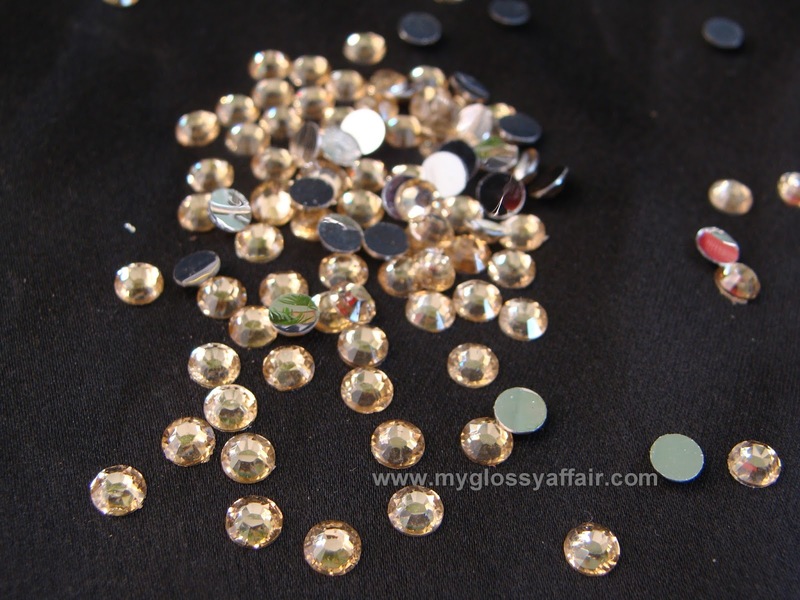 The colour matched my lehenga perfectly and this crystals made the wedges perfect for wedding. I am happy that I can wear these anytime with suits too. Can you notice my lehenga in the back!! Hey Ritch! I'm on your blog after a long hiatus! I love how you transformed those shoes. With the addition of bling, they look perfect to go with a bridal wear.